*ONLY 7,000 HOURS AND 32,000 MILES! 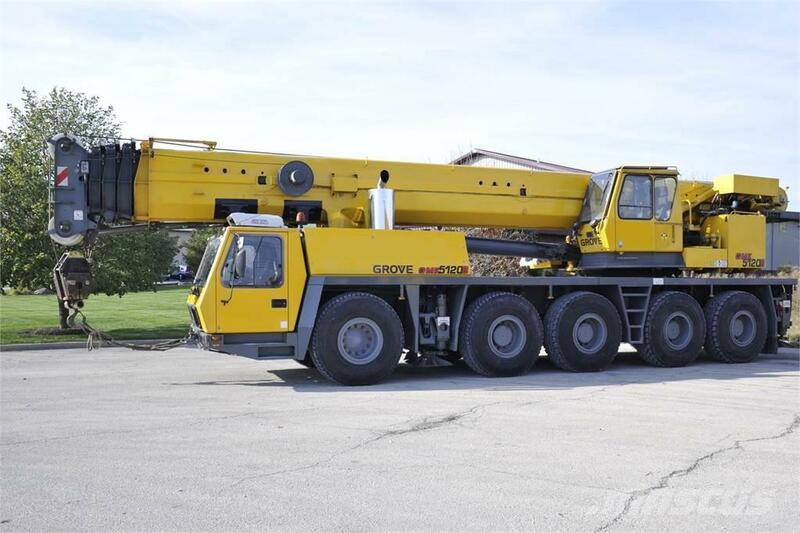 120 US TON (100 METRIC TON) ALL TERRAIN CRANE. MAIN BOOM: 167(51m) VERY STRONG CHART. JIB: 36ft-59ft(18m) lattice swingaway extension PLUS OPTIONAL JIB INSERTS/EXTENSIONS FOR A TOTAL OF 112' (34m) JIB. 2 AXLE BOOM DOLLY IS AVAILABLE/OPTIONAL IF REQUIRED. Air Conditioning in Crane Cabin and in Carrier Cabin. TO OUR EXPORT CLIENTS, WE CAN OFFER PROMPT DELIVERY TO THE PORT OF HOUSTON, TEXAS OR EAST COAST USA.